Annette Bening | Cinema, etc. To mark 2017’s International Women’s Day, I dropped into the cinema to catch 20th Century Women, a film with three powerful and independent women at the heart of its plot. A triple Bechdel Test passer, the film indeed avoids the usual cinematic tropes and instead explores how men are often defined by the women around them. In 1979 in Santa Barbara, California, Jamie (Lucas Jade Zumman) is a 15-year-old boy who is lacking a father figure in his life. 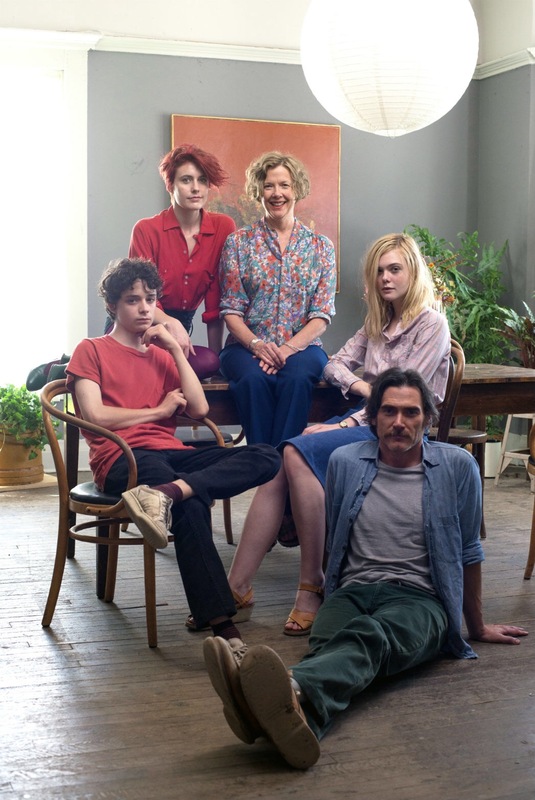 His mother Dorothea (Annette Bening) has been long-single, but lives in a luxuriously huge house that she has converted into a sort of commune, in which lives a young female photographer Abbie (Greta Gerwig) and an emotionally-detached carpenter and handyman William (Billy Crudup) who is renovating the house for her. Julie (Elle Fanning) is a girl with whom Jamie is unrequitedly besotted; she wishes for him to remain as a friend only whilst she has a series of never-seen male sexual partners. Mike Mills has cultivated an intelligent film from his own original script, describing it as a love letter to the women who raised him. It’s the sort of quirky and intimate story that can only be crafted from ones own experiences, with two fingers up to the notion that boys need fathers and girls need mothers in order to be raised properly. Interestingly, whilst there are innumberable films that explore fathers being thrust into the role of both mother and father figures to both boys and girls, the concept of a group of women creating a support network for growth of a teenage boy feels wholly fresh and quite important. The standout performance in a solid cast comes from Greta Gerwig, who I have seen in several films previously and never been excessively impressed with. This time, she is absolutely mesmerising as a young woman who is recovering from cervical cancer. We learn that the cancer was probably linked to her mother’s Diethylstilbestrol (DES) drug treatment during her pregnancy. She has been effectively disowned by her guilt-stricken mother, unable to cope with the fact she feels responsible for causing her daughter’s cancer. As a role, this is no light task, and Gerwig is at times totally breathtaking in her performance. It is strange that the boy whose life the story revolves around eventually turns out to be a supporting character to the three leads. It is a lovingly-created film that is as relatable to mothers as it is to sisters of brothers and as it is to sons. With characters this believable and brilliant performances across the board, this is a film well worth seeing.